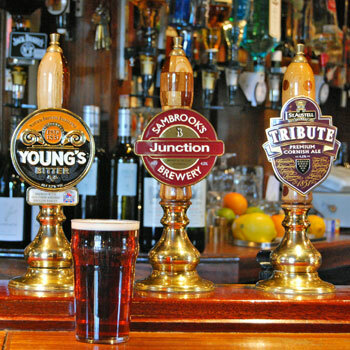 We have 3 regular cask ales that are very popular with our customers; Young’s Bitter- 3.7% ABV, St Austell Brewery Tribute- 4.2% ABV and Sambrook’s Junction- 4.5% ABV. We also sell two popular imported lagers; Dortmunder Union Pils- 5% ABV and Angelo Poretti- 4.8% ABV. There are two guest beers that are changed regularly. 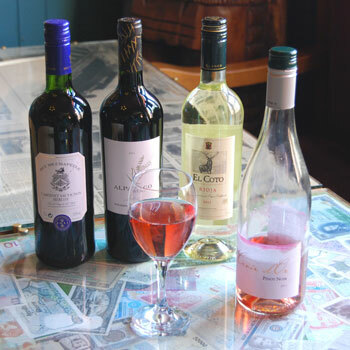 Our wines come from both the old and new world and our best sellers are Alpataco Malbec, Las Boleras Pinot Gris and Ladybird Rose.